Summer may be coming to an end but it’s never too late for frozen desserts, right? I don’t know about you, but I still crave frozen desserts even during the winter season. 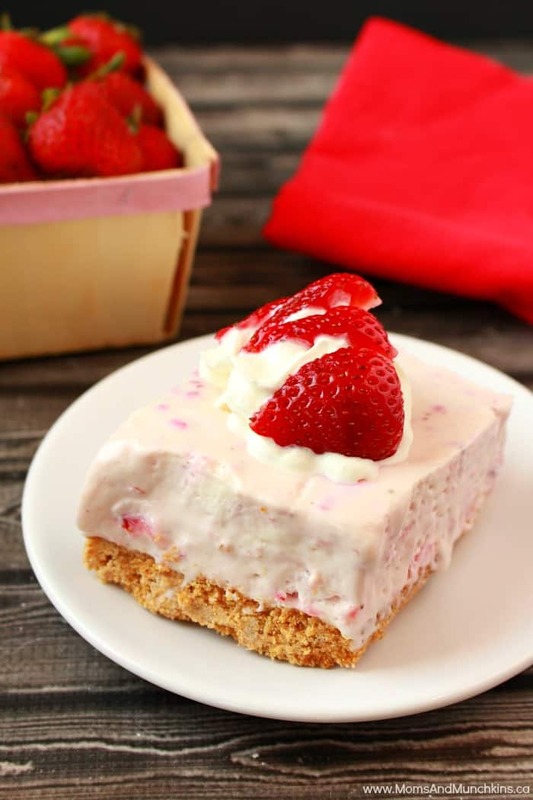 These Strawberries and Cream Bars are a sweet treat you’ll be craving even when your driveway is covered in snow. Plus, you’ll deserve a treat after all that shovelling. Okay, I’m going to stop talking about snow now before I start crying. Ha! Winter isn’t my favourite season and we still have lots of hot summer days to enjoy before the snow falls so let’s get those flip flops on, get outside and enjoy the warm weather while we can. Oh wait! Maybe let’s talk about this dessert first…then go outside in your fanciest flip flops and head to the grocery store to buy the ingredients for this dessert! This dessert is a little softer than ice cream consistency so you’ll want to make sure you leave it stored in the freezer or you’ll have a melted mess. This dessert should be stored in the freezer until you're ready to serve it. Mix crust ingredients (graham cracker crumbs, sugar and butter) together then press into an 8”x8” baking pan. For the filling, whip the heavy cream on high speed until stiff peaks form. Add the powdered sugar and cream cheese to the whipped cream and whip until well blended. 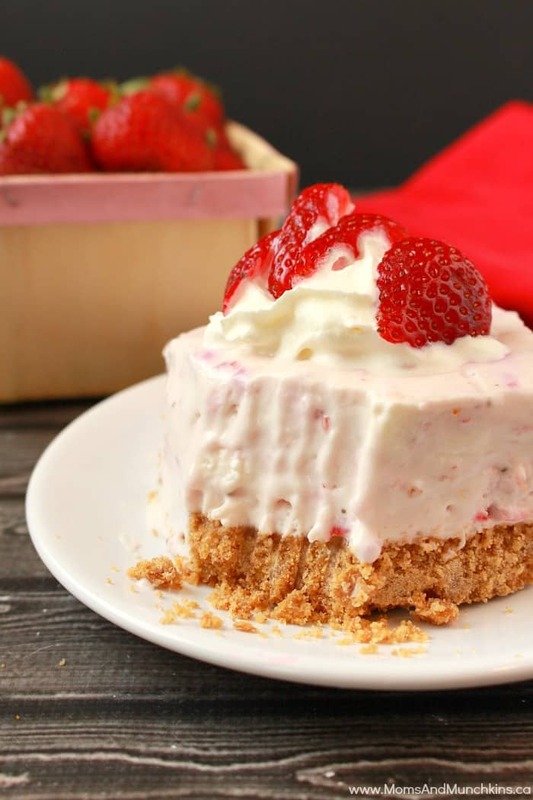 In a separate bowl, stir together the condensed milk and strawberry puree until well combined. Stir the strawberry mixture into the whipped mixture just until blended. Pour the filling into the prepared (and cooled) crust. Place in freezer overnight before serving. Store leftovers in freezer. Looking for more frozen treat ideas? 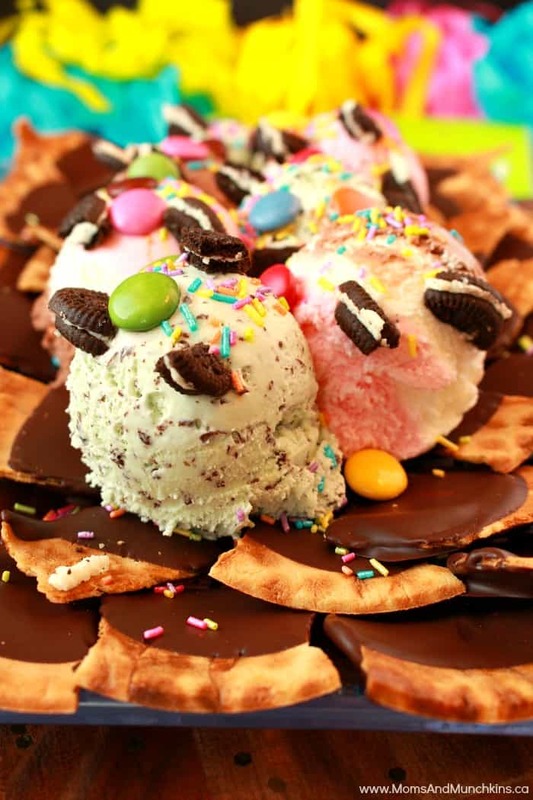 Try these irresistible Ice Cream Nachos. Don’t have time to make this dessert now but still craving something sweet? 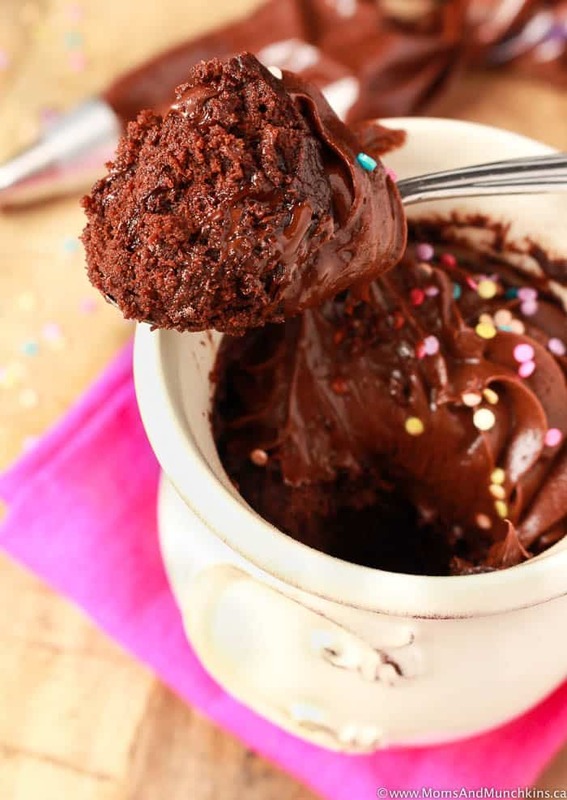 Try this Double Chocolate Mug Cake ready in less than 5 minutes! For more delicious treat ideas, visit our Recipes page. Never miss an update by following us on Facebook, Pinterest, Instagram and Twitter.